Hi Friends! Atish here, we have announced yesterday (15-05-2011) about the series “Coffee With Atish” @ TechTricksWorld.com. As I already written in the last post that this series contains interviews with top bloggers , SEO experts and any other person who is related to Tech. So Here we go, Our first interview of “Coffee With Atish” is with “Saksham Talwar“ of Blogging Junction. Blogging Junction is one of the top blog in blogging tips category having the PR4. This is the rich source of blogging tips and SEO tips and tricks. writer. He writes mainly about blogging and SEO tips. He is from MUMBAI, INDIA. When I put my feet in blogging then at the very first time I got the bloggingjunction in google and from then I became the regular reader of this blog and I love to read this blog. So here goes the interview with Saksham Talwar. 1. I think most of the people know you already but just for formality tell a little something about yourself? I am not that popular Atish! 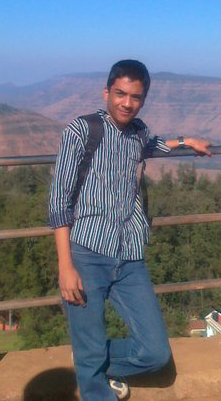  Hey friends, it’s Saksham here and I am a 16-yo blogger from Mumbai. I am the one behind BloggingJunction.Com, the blogging tips blog. 2. Tell me about your blog, when and why you started it and how you came up with the name for it? My blogging story started back in 2008 with a small Blogspot blog where I wrote about wildlife and nature and had no clue that blogging can actually make me money! Later on I decided to register my own domain and started a blog showcasing computer tips. First year didn’t make me a single dollar, but the knowledge I gained was immense. I had learn a lot about blogging, advertising, social media, SEO, etc. It was 2009 when I started Blogging Junction with the only aim of sharing blogging tips that helped me start and become a better blogger with each second that passed. 3. How were your first few months of blogging? For the first few months, blogging was fun; I was very new to it and had a lot to learn about blogging. How to get traffic and how to convert it was the main question! I read a lot of blog posts penned by several successful bloggers, found my own ways and started getting my first bit of traffic. The happiness was immense! 4. Do you think blogging takes up a lot of your time? Well, yeah blogging takes a lot of my time, but as it’s my hobby I don’t mind spending time on it. After all it’s giving me a lot of knowledge, helping me gain name, earn dollars and most importantly it’s helping me pass my free time by learning something new! 5. How you were able to bring the initial traffic to your blog? I got my initial traffic by blog commentating, forum posting and even inviting other fellow bloggers to my blog. And guess what it worked for me! The above methods though not that useful for getting traffic these days, but they may work for you if you use them in a proper way. By proper way I mean to say, post comments that add value to the blog post and not just a mere “Hey, nice blog post”. Same applies for forum posting. At forums try your best and post things that attract audience and interest them. 6. Where would you say most of your traffic comes from for your blog? Most of my traffic comes from Google organic search. And second ranks the traffic I get from guest blogging. 7. Do you use social networks to promote your blog and if so which ones would you recommend to other bloggers? Though I mainly focus on SEO, I also use social networks for promotion. I would recommend Facebook and Twitter if you want to promote your blog posts via social networking and if you’re looking to get traffic to your blog from social bookmarking networks, Stumbleupon and Reddit are the best options. 8. Who has impacted you most in your blogging career, and how? Well there are a lot of people who have helped me become a better blogger; some of them are Gagandeep, Amit, etc. And of course my family and friends have been there with me always! 9. Would you like to share your favorite quote? My favorite quote is, “Honesty is the best policy” – I know it’s not something you were expecting, but yes this is my favorite quote. Being honest to yourself, your blog, your readers, what you write certainly helps! Also I like the quote, “Time is more valuable than money. You can get more money, but you cannot get more time”. It helps me manage time and earn more. 10. If you could give some useful advice to new bloggers, what would it be? “Write for your readers, optimize for search engines” is what I will suggest to all the new bloggers. Write in a way that your readers like to read, share and optimize the blog post for search engines by building links, using proper Meta tags, etc. Also write on topics you know a lot about. 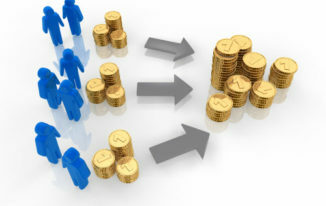 No point in starting a blog about making money online when you yourself don’t earn a single dollar. It won’t work! Thanks Saksham for giving time from your busy schedule for this interview. Saksham writes a good blog. Also Atish, Nice Interview. Hey Saksham, I’ve always admired you. Thanks for sharing your experience with us. Hopefully we reach the same what you’ve reached. yes suraj ..saksham is too good. I wish you luck! Just work hard as you do now and soon you will be rocking the blogging world! Thanks atish.. You are the one who introduced me to Saksham. And now with this post i have got something new. Saksham’s initial stage was just ike me coz i am also very new in blogging era and not getting much traffic but his tips will defenetly help me. Great to have Saksham here ! 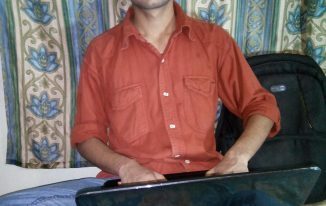 I started blogging getting inspired saksham,harsh,amit and shiva. thanks for great tips over here buddy! Glad to know that Shashank! 🙂 Wish you success!! Good Startup Atish. Keep it up. Thanks Tech ! saksham is really a talented blogger. may go d bless him. Ohh ‘the saksham talwar’ interviewed:D I respect you a lot saksham and i guess you already know that. And i envy you so much:P I know you already are doing great but wish you more luck in the future. I too believe in the fact that ‘honesty is the best policy’. 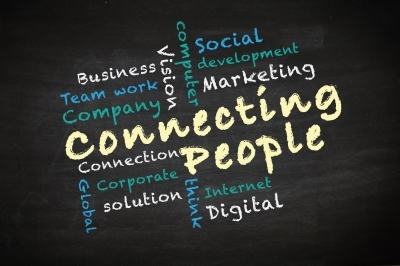 When you connect with your readers on a personal level and show them you care that’s what makes the difference. Tc.. Yes Karan Saksham is doing great as well as he is a very nice, friendly and helpful guy. i too respect him a lot. And thanks Karan for the wishes. I wish the same for you. Great start Saksham. Continue your blogging adventures. And nice first interview Atish! Thanks Danny For Your kind words. yes Saksham Is just amazing Blogger.